Why to spend much money on #lash growing serums and other products, if you can get the same resulst cheap, naturally and without any risks? Put some of the castor oil in the small container and add an equal amount of coconut oil, then still add abit of the almond oil as it works as a great moisturizer for your lashes and your skin as well. Shake well to get a good mixture. Apply this mixture with a clean mascara application brush each night after removing your makup on your #eyelashes. 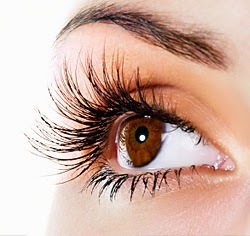 Make sure that the lashes are coated well from the ends untill their roots. If you want to enhance the growth of your #eyebrows, you can apply it on them as well. This way doesn't work for everyone, but why not give it a go? Even if it won't make your #lashes considerably longer, it will nourish and moisturize your #eyelashes and keep them healthy.